PS: Follow Mr. Flemington on his FB! Hi Ho, Hi Ho, it's off to work we go! How many days without an accident in the old nutriberrium mines? Oh, . . .
Mr. Flemington has had a fine New Year celebration, from the looks of it! 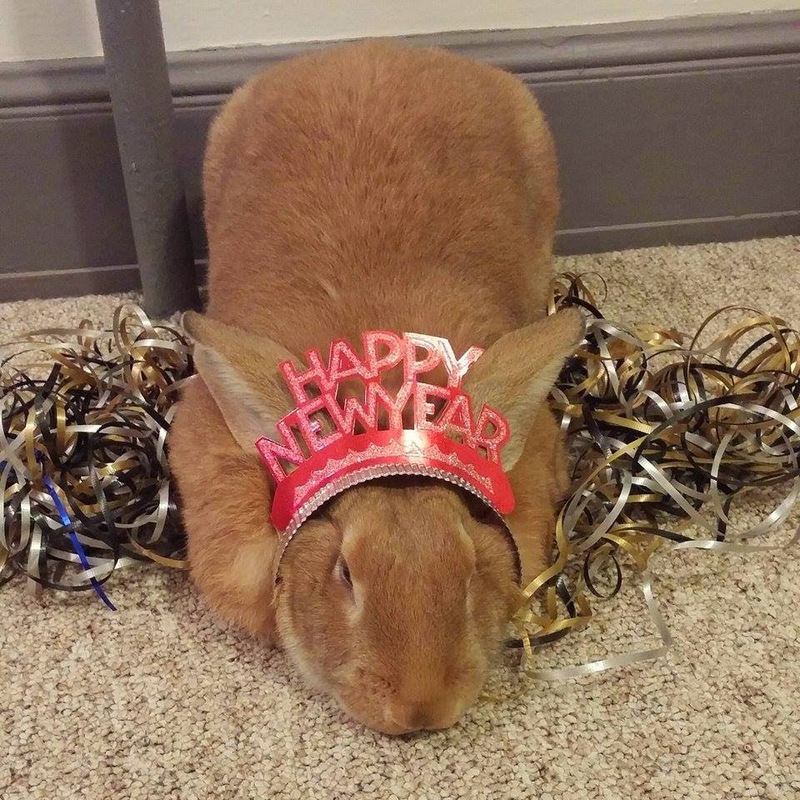 Let's hope for a grand year for rabbits and us. Sally, it is good to have you back. I have a button that says, "Hope is Power." Let's definitely keep it going. Our bunny guru just told us that a grand year for bunnies is the definition of a grand year for humans. And, yes, our guru is a bunny.